Coconut oil can be a great alternative to butter as it has beneficial ingredients that help promote better health. Learn some tips to help make the transition. Coconut oil has several health benefits that can help maintain your liver, kidneys, skin, hair and other parts of the body. This ingredient contains caprylic, lauric, and capric acids that allow it to be used as an antioxidant, disinfectant, antibacterial, antimycotic and soothing agent. 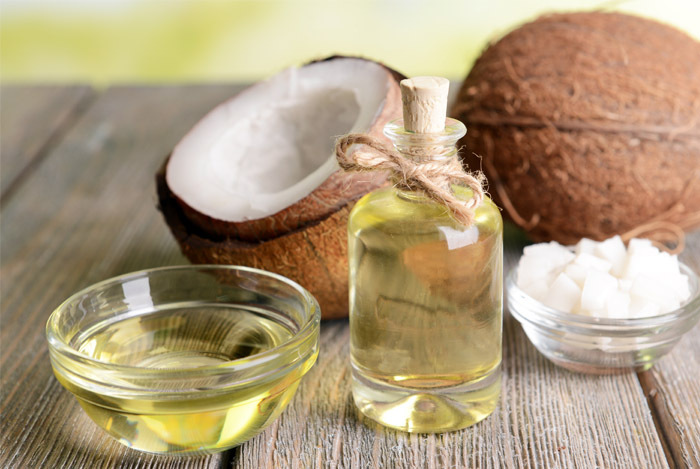 Many who are attempting to build muscle will consume coconut oil because it has lower calories than most other types of oil so the body can quickly convert it to energy. 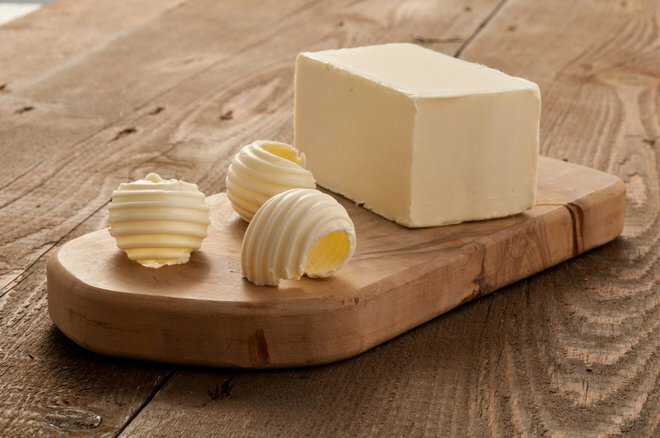 People who have food allergies such as those to dairy products have trouble using butter to cook. Margarine or vegetable shortenings are available to use as a substitute, but a majority of these products contain soybean oil. Those that are concerned about the health defects associated with soy may find these options undesirable. It may be a better idea to substitute coconut oil for butter because it has plenty of additional health benefits that other butter substitutes do not. Both solid at room temperature. Coconut oil is solid at room temperature, allowing you to use it the same way you would butter. Olive or avocado oils are liquids at room temperature, which often makes them unsuitable for applications such as baking. Coconut oil will melt at approximately 76 degrees, so those planning on using coconut oil in their recipes will need to avoid keeping their kitchen too warm. Advantage in taste. You can purchase refined or extra virgin oil. The extra virgin brands will have a coconut flavor that can enhance the flavor of desserts or tropical dishes. Refined oil will not add any additional flavor to your dish, making it a perfect addition to more savory dishes. Both versions of this oil are readily available at health food stores and supermarkets. Superior nutritional qualities. Coconut oil has high amounts of lauric acid that have strong antibacterial properties. It is also believed that coconut oil helps with weight loss because it is composed of short and medium chain fatty acids. Consuming coconut oil can also help you manage digestive distress, regulating the blood sugar, strengthening the teeth and bones, and strengthening your immune system. Coconut oil costs more than butter. One of the strongest drawbacks to using coconut oil instead of butter is that coconut oil is a great deal more expensive. Extra virgin oil also tends to be more expensive than refined coconut oil. 1. When can we use coconut oil? Coconut oil makes a perfect substitute for butter in stir fry and Thai recipes. If you would like to use coconut oil in baked goods, it is recommended that you use virgin coconut oil because it is semi-solid and has a coconut flavor that will add to the overall flavor of your recipe. People often recommend using half coconut oil and half clarified butter in recipes or ¾ coconut oil in place of a cup of butter if you are concerned about the coconut flavor altering the taste of your food. 2. Which type of coconut oil can we use? Unrefined. Unrefined or virgin coconut oil has been minimally processed with a small amount of heat during the production process. This version has a mild coconut flavor and scent that is not typically delectable in baked goods. Expeller-pressed. Expeller pressed oil has been through a deodorizing process that has removed the coconut flavor and scent. Industrial or commercial grade. Commercial grade coconut oil has been through a deodorizing, refining and bleaching process to remove any coconut flavor or scent. However, this means much of the vital nutrients have been removed from the coconut oil as well. Liquid form. Melt your coconut oil over low heat, allowing it to briefly cool before applying it to your recipe. You can simply place a bowl or your jar of oil on the stove while you prepare your other ingredients as the oil will melt quite quickly. Then simply use the coconut oil the way you would as any other type of oil. If you are using liquid coconut oil in a cold application, stir it into your recipe quickly so it does not begin to solidify and make your recipe lumpy. Solid form. As long as you keep the oil below 76 degrees it will remain solid. This makes it ideal for use in applications like pie crusts. You can beat in your coconut oil with your sweetener the way you would use butter. You can also use coconut oil to grease your pans the way you would use butter. Make sure your coconut oil is cool enough to remain solid, particularly if you are working in a warm environment. If necessary, place the coconut oil in the refrigerator until you are ready for it to prevent it from melting. Baked goods will need solid coconut oil to make sure the texture turns out the way it should. Read your recipe to determine how much coconut oil you need. Measure out your oil. You can use a one to one ratio for the amount of butter your recipe calls for.